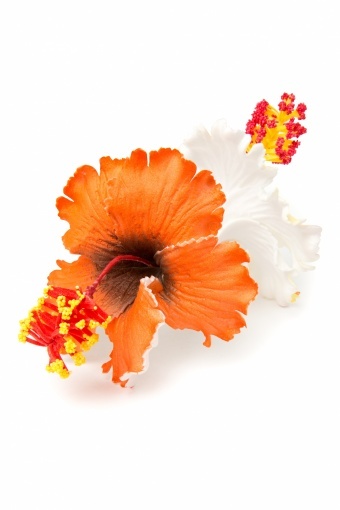 Iolana double flower two coloured orange yellow hairflower clip from Miss Candyfloss. 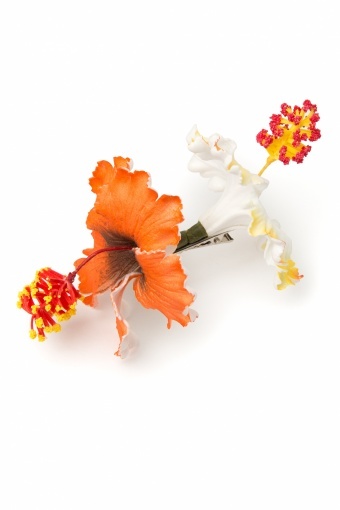 Handmade double hibiscus flower in two colours attached on metal hairclip. Can also be clipped on the corner of your clothing. 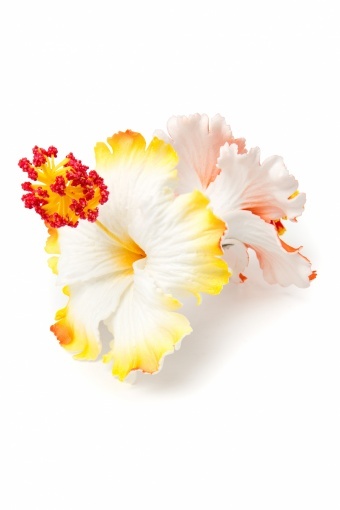 Length: 9 cm We do not want to crush the flower, so it will be shipped in a small box.